Fatty fish, like salmon, mackerel, and sardines, are well-known for keeping your heart healthy. Studies also suggest that regular fish eaters also stay sharper, have lower rates of depression, and tend to live longer. The apparent relationship between fatty fish and good health has largely been attributed to the fact that they’re rich in omega-3 fatty acids, which are anti-inflammatory. Might that translate to protecting against inflammatory autoimmune disorders like rheumatoid arthritis (RA)? The answer, in short, is no. One slight caveat is that the researchers did find that current and former smokers who ate the most fish were slightly less likely to develop RA compared to smokers and ex-smokers who rarely ate fish. Smoking is considered a major risk factor for RA, and getting plenty of omega-3s might help to mitigate (but not eliminate) the danger. 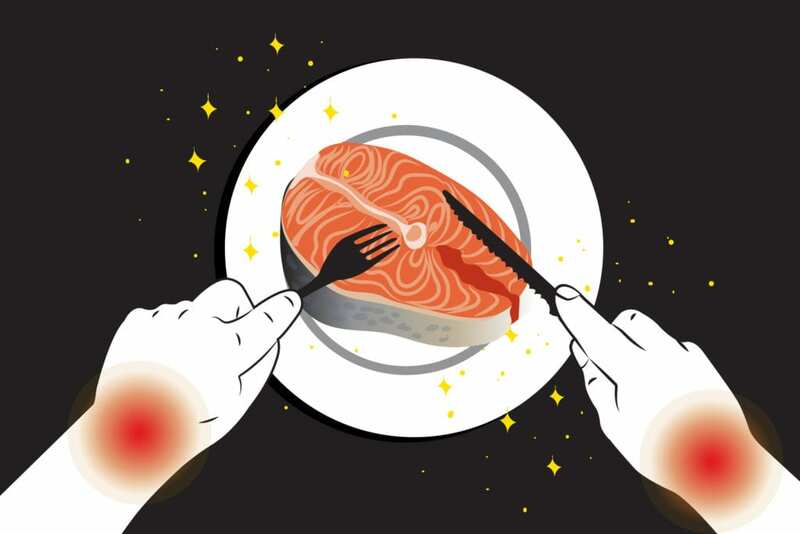 This was not the first study to examine the connection between fish consumption and RA, and earlier studies have reached different conclusions. While omega-3s might not help prevent RA, that doesn’t mean that you should skimp on them if you already have this disease. In fact, eating ample fish or taking a fish oil supplement (ask your doctor first) might help with pain and swelling and increase your chances of reaching (and staying in) remission.